8.0 oz. 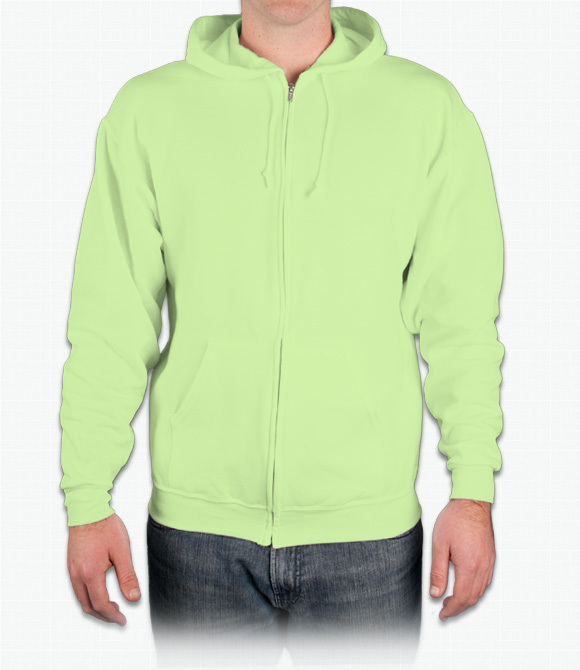 50% cotton, 50% polyester NuBlend preshrunk fleece. "nice hoodie, too bad that i needed to recycle all due to really poor printing." "For the price, it's pretty durable and very cozy (the inside is surprisingly soft)." "It came out well, but I asked for the hood to not cover part of the logo when the hood is down and it slightly does =( this happened last time too."